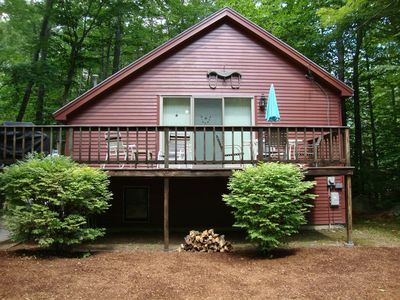 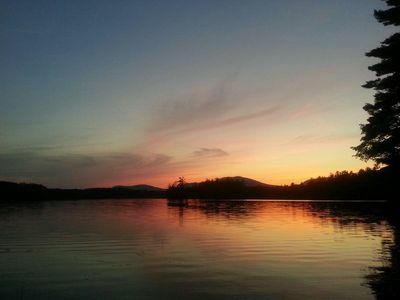 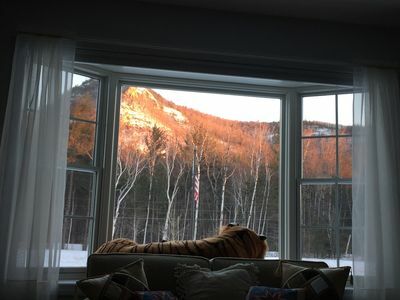 This amazingly relaxing cabin is located in the heart of Conway, NH. 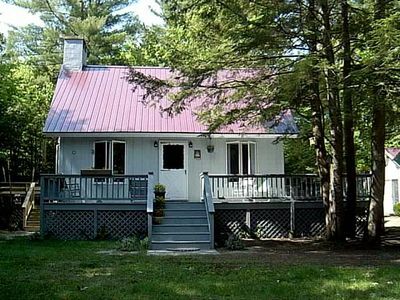 This cottage features two bedrooms, the master having a queen sized storage bed with a matching chest and a 24" television and the second bedroom has bunk beds with a full bottom and a pull out trundle, also with a matching chest. 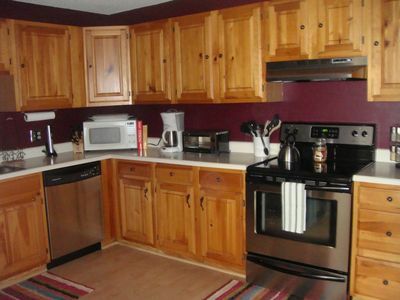 The kitchen features a gorgeous pine counter top with a full fridge, microwave and range. 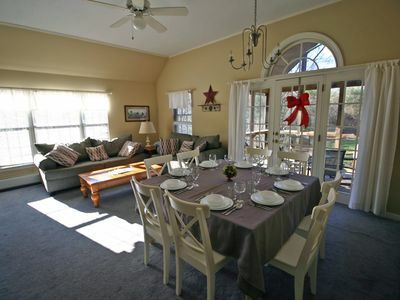 The dining room features an amazing pine table with a couple of matching club chairs and benches; you'll be able to cozy up by the wood burning stove. 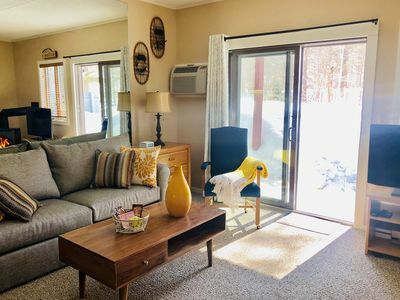 The carpeted family/sun room has a pair of the most comfortable rocker/reclining/swivel chairs you'll every sit in, a fantastic rocking chair, and a sectional sofa couch with a 42" television and an electric fireplace. 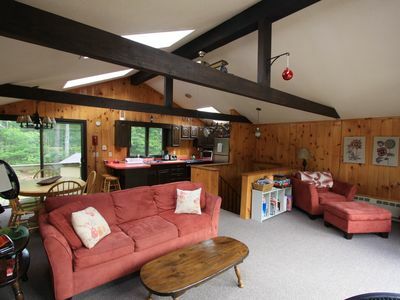 Off the family/sun room lies a large deck with gas grill, table, chairs, and umbrella. 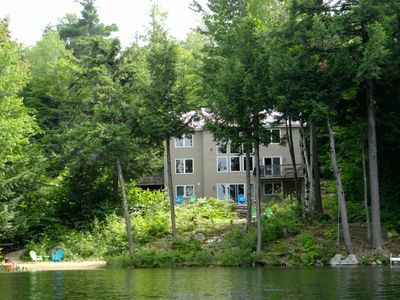 Enjoy some s’mores by the amazing fire pit, located right off the deck. 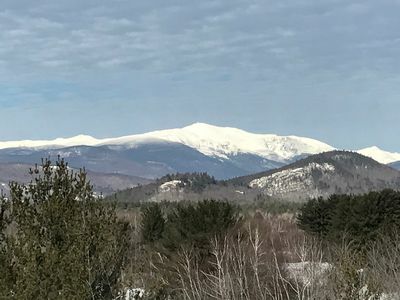 With the three best mountains the northeast has to offer less than 30 miles away, you'll have your pick of amazing skiing/boarding. 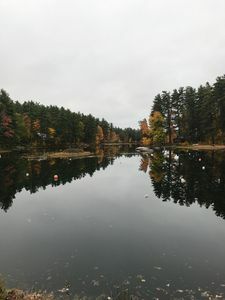 For those of you who would rather dine and shop, Settlers Green Outlets and an array of New Hampshire's best restaurants are just around the corner in North Conway. 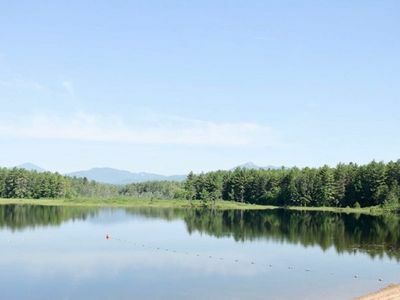 During the summer months Conway Lake is a quick walk down the street, or take a short ride to the Saco River. 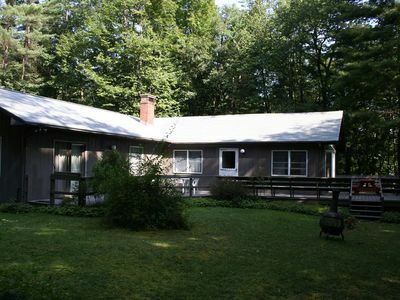 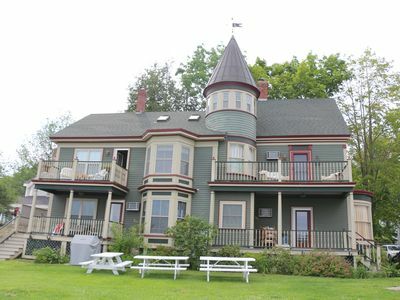 Secluded Private Home Right on Saco River in North Conway. 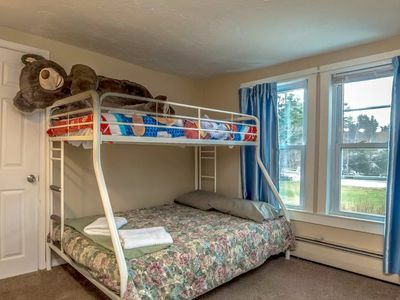 GREAT FOR FAMILY! 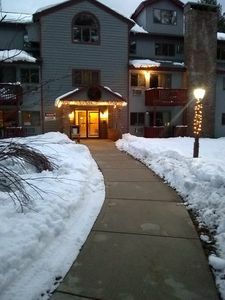 Spacious Condo @ 5 min. 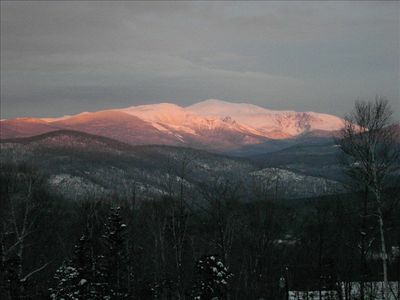 of Cranmore Mt & North Conway Village. 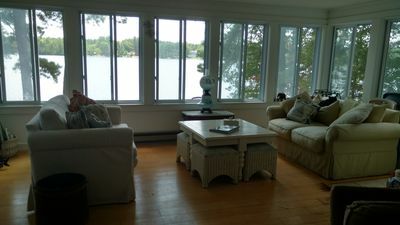 Private And Pristine Spacious Waterfront With Gorgeous Sunsets! 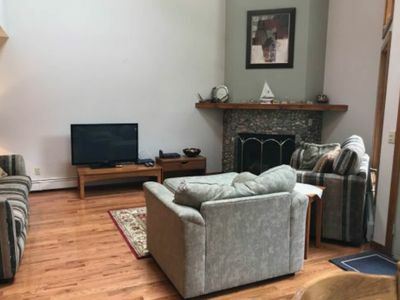 2BR AC Condo w/Modern Decor Near Storyland! 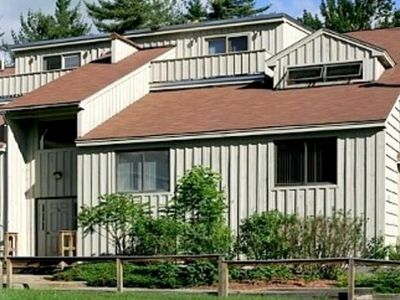 Spacious townhome with a deck, fireplace, and a shared pool!